ARTISAN was a straight ahead rock band from Hull. The group was formed in 1985 by ex-STORM vocalist Jon Michael Lawson together with guitarist Neil Brocklebank, bassist Paul Toohie and drummer Patrick Tew. However, Tew lost his place to drummer Carl Scholes who in turn was superseded by Mark Gladstone. Drummer Andrew Thresh, previously with Punk band PLASTIC, replaced Gladstone in 1988. Two demos were recorded prior to the EP release which featured a cover of CLIFF RICHARD's 'Devil Woman'. ARTISAN split in 1990 with Lawson and Thresh forming MICKEY FINN. After a while, Brocklebank resurrected the name with a revamped ARTISAN consisting of ex-HOLLYWOOD GIRLS vocalist Paul Batey, guitarist Paul Fantinni, bassist Ben Canty and drummer Dave Meginsson. Further changes occurred when bassist Chris Hill and vocalist Graham Houghton were brought in to record the 1993 single. ARTISAN split finally in 1994 with Brocklebank teaming up with BIG GUNS releasing the album 'On Dangerous Ground'. Last edited by Dare-Devilina on 13 Jan 2014, edited 1 time in total. Last edited by Dare-Devilina on 06 Nov 2014, edited 1 time in total. А кроме одной песни , есть еще что нибудь что бы прослушать ? Как скачать песню от туда? Будет очень сложно найти эти альбомы. 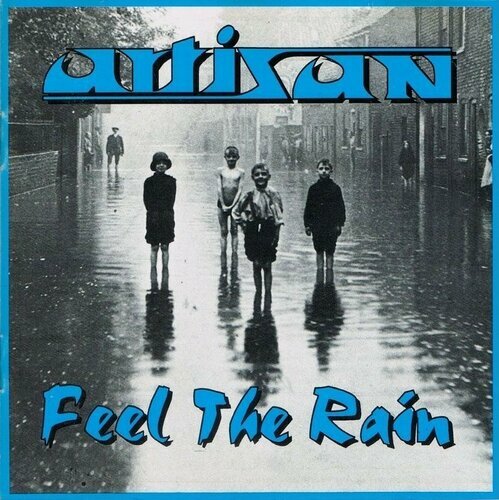 А уверены что эта та же групп - ARTISAN - Feel The Rain (1993) ? Спасибо , где откопал его Саша ? City Lights - эта песенка больше всего понравиась . Но Reach Out конечно супер , жаль досих пор никто не выложил .